The real question: why was one font easier to read, and why only for men? Researchers at MIT's Age Lab have discovered that the fonts car manufacturers choose for use with in-dash entertainment systems can impact the amount of time drivers spend distracted behind the wheel. Unlike the physical controls found in older cars (dials, knobs, etc. ), a rise in digital user interfaces has had the unfortunate side effect of demanding more attention from drivers. 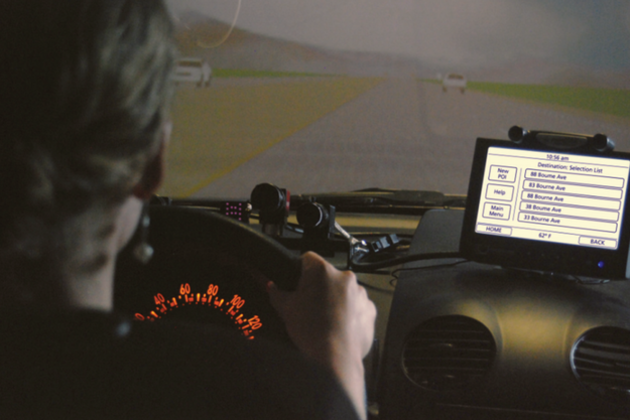 The study involved a simulation in which participants were asked to perform routine tasks on a display not unlike those you'll find in many modern vehicles. Researchers tracked eye movements during each session and tested two typefaces on the screen: the first was Eurostyle, with Frutiger serving as the second and more "humanist" font.